Show the wide range of problems hampering effective action. These pages present the big picture on climate change. They tell of the coming dangers, how and why we are failing to address them and what can be done to ameliorate the condition we find ourselves in. Seeing the big picture means understanding fundamentals. Why is it happening? 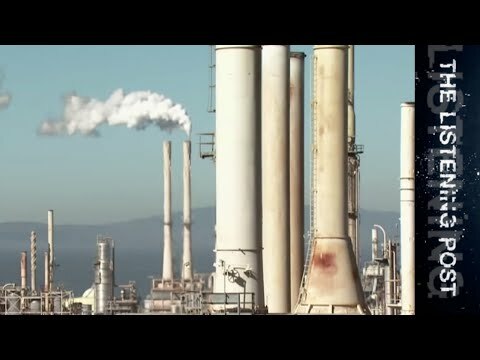 Why is it so difficult to reduce emissions? What does the future hold, even if global emissions are much reduced? Capitalism leads us all to specialise. That is good for employment, but bad for understanding climate change solutions and problems, which are wide-ranging. However, if you can learn to become something of a jack of all trades you will be able to stand back, see the wood for the trees and get fresh new insights. Talk to any well-meaning person about climate change, and the conversation will likely turn to personal carbon footprint, renewable energy intermittency, or even recycling or plastic in the oceans. The problem is that solving these problems is not going to solve climate change. According to the Brookings Institution 140 million people around the world are joining the high-consumption, high-emission middle class every year. That’s two Thailands every year. Or a China every ten years. We are all bound up in the same system that scientists have long warned will profoundly alter life on Earth as we know it, and few people understand how much that system needs to change if we are to avoid increasingly severe weather events and sea level rise in the coming decades. Even those who do understand the enormity of the problem have little idea of what it will take to solve it. Why? Because popular ‘solutions’ (which are usually weak) have been an easy-sell. Most people find all-encompassing, globally scalable solutions too difficult to think about, so popular Green movements avoid explaining them. Even Naomi Klein’s book This Changes Everything provides few plausible solutions, although she does a good job of expounding the problems. This website discusses the deep problems behind climate change and presents the strongest – game changing – solutions. My target audience is people willing to do the necessary thinking. Fortunately, schools and universities teach the subjects necessary: Economics, Politics, Natural Sciences, Mathematics (mostly arithmetic), Geography, Sociology and Psychology are the main ones. Good knowledge of business and clear writing skills also help. Clear writing is an important tool for learning and debating technical issues. However, there’s another crucial subject with no name. Climate Change is far too big a problem for anyone to solve alone, so we are going to have to work together effectively to have any hope of beating it. That is not easy. People have diverse opinions, conflicts of interest, different capacities, and so on. Many of us prefer to ‘be right’ even when we’re wrong. So what am I talking about? Here’s how I see it: Responsible people are willing to take on a problem as their own problem. Taking on climate change as my own problem gave me a wonderful freedom to think outside the box. It sent me on interesting journeys of discovery. Best of all it has led me to other people who have also taken on climate change as their own problem. Instinctively we know we must work together cooperatively. That means being helpful, reliable and accommodating. Working with other people like that is a privilege. That is what it will take to solve climate change. Being that person is lonely at first. It’s confronting, and seems to involve delusions of grandeur. But, you being that person is what is needed. If you join that club, you will soon experience being welcome in it. If the current state of the world according to climate scientists is anything to go by, this century will be cataclysmic. Since the 1980s, despite their warnings, global greenhouse gas emissions and atmospheric greenhouse gas concentration have continued to increase. As predicted, amplifying feedback processes are now in play which, without intervention, are likely to alter Earth’s climate rapidly (instantaneously on a geological timescale) to a very different state than the one today’s life-forms and human civilisation evolved to adapt to. Unfortunately, civilisation’s systems and procedures did not evolve to solve problems this fundamental or this global. Our problem this time is that evolution – survival of the most efficient ways to extract value from Earth’s resources – will no longer work. Our best hope is to agree a credible plan to secure our safety, and actually follow that plan. This website seeks to identify the main drivers behind mankind’s failure to sustain the resource-abundant, life-giving home we inherited, explaining in broad terms what has gone wrong – and continues to go wrong – and the most powerful, scaleable solutions under consideration. If we are to survive we need to elevate the value of science as a way of measuring and predicting reality, and be willing to question our own tribal prejudices and ideologies. For example, the green movement does not recognise that radiation is safe within limits, and that even today’s nuclear power (with fuel in solid pellets that build up internal pressures over 1000 bar) has the safest record of all the mainstream sources of electricity, as measured in deaths per Terrawatt hour. On the other side of the divide a number of very powerful elites do not even recognise the existence of climate change, and have spent millions of dollars denying its existence to the public. They are losing the battle, but most people still remain lethargic about taking meaningful action. Even those who do reduce their carbon footprint are countered by finance ministers enacting policies to boost economic growth. An ‘old timer’ from the UK Inland Revenue once pointed out to me that people mostly just talk about what is familiar to them, rather than what really needs discussing. He told me about a one-hour meeting he attended during the 1970s in which there were two questions to answer. Should they: 1. Spend £1 million on a new mainframe computer? 2. Renew the contract with the company that cuts the grass outside the office? Fifty-five minutes were spent on one decision, the remaining five on the other. No prizes for guessing which was which. So, what should we talk about that might lead to solving climate change? We all want to feel good about ourselves, and some of us achieve that by reducing our carbon footprints – by driving or flying less, avoiding meat and dairy, even just recycling – which helps a bit. However, sadly those actions will only delay catastrophe. Those who are prepared to confront uncomfortable realities recognise that a full set of viable solutions to climate change does not yet exist. They understand that solutions get invented, tested, financed, developed and deployed in a process that needs support. Enough people talking and writing respectfully and helpfully about the most plausible – game changing – ideas being proposed today, is what will make the missing difference. Please contribute your suggestions in the Comments section at the bottom of each page.